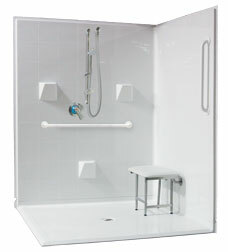 the shower package designed to offer heavy duty support - ensuring patient safety and product longevity. Bariatric seat is weight bearing rated for 1000 lbs. Specialized 72” hand-held shower hoses for extended reach.